Be Careful of the KMSPico Activator - It could be a Ransomware! Be Careful of the KMSPico Activator – It could be a Ransomware! 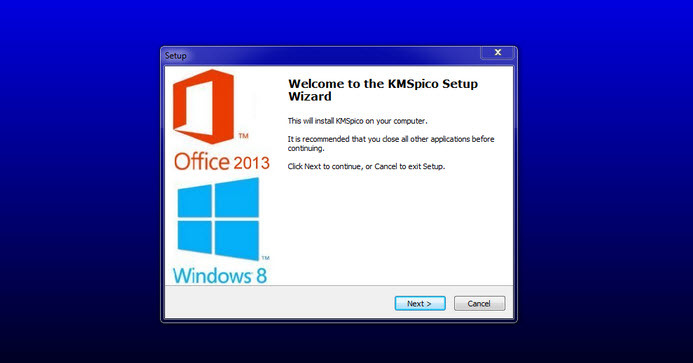 If you are using KMSPico Activator for activating your Windows or MS Office, then you could be risking yourself to a ransomware infection. Quick Heal Threat Research Labs has recently observed a new variant of ransomware called Domino that is using this activator as a carrier. The malware encrypts the infected files and appends the extension “.domino” to the files. How does the Domino ransomware enter its victim’s computer? The ransomware pretends to be the KMSPico Windows Activator (a tool used to activate any version of Windows and Microsoft office). An unsuspecting user may install this tool thinking it to be the real one, and end up infecting their computer with the ransomware. Download this PDF for a technical analysis of this ransomware. Quick Heal Anti-Ransomware Technology successfully detects the file encryption activity of the Domino ransomware. THANK YOU Quick Heal for detect it. But instead of user notification ( Allow or Block[Recommended] ) block such type of viruses by default. Once i used it to active office into my system.But quick heal detect that & remove it. Although i found folder name your product to program file.I delete it manually. Is it safe now?